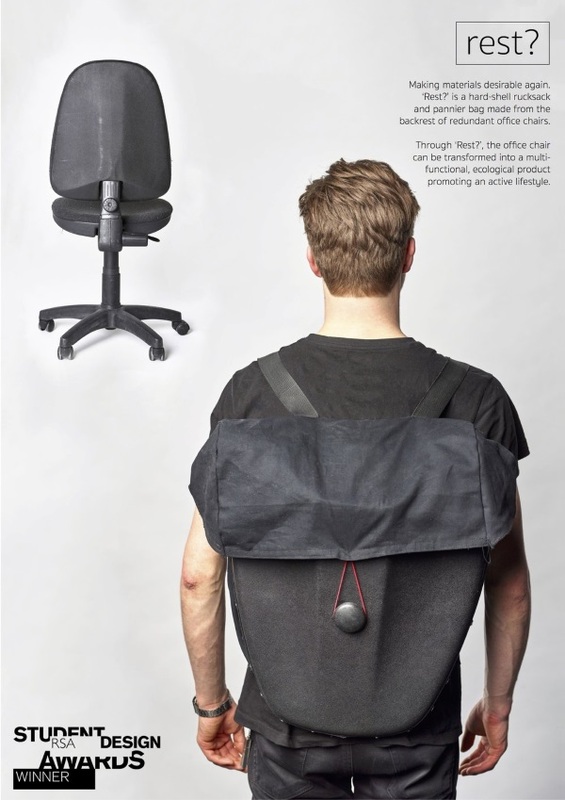 Seat back and REST… your old office chair has been reincarnated as an environmentally-friendly backpack or bike pannier by a clever UK design student. Over 810,000 office chairs are disposed of annually in the UK alone – composite construction employing a variety of material types makes recycling a complex and expensive proposition. Thomas Howell-Jones, a Product Design student at Birmingham City University, realized these old and unwanted office chairs didn’t have to be completely broken down in order for them to be re-purposed. 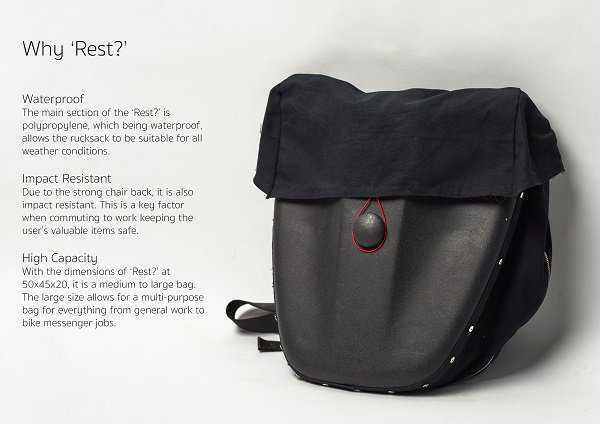 This brainstorm led him to create REST, a new product based on the backrests of discarded office chairs. Howell-Jones’ sustainable solution to the problem of un-recyclable office chairs focuses on the backs of these chairs. 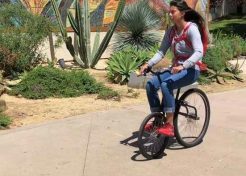 It doesn’t take much labor or new material to transform chair backs into durable, waterproof and impact-proof bags that can be worn like a hard-shelled backpack or (with some quick & easy adjustments) mounted onto a bicycle as a tough, spacious pannier. 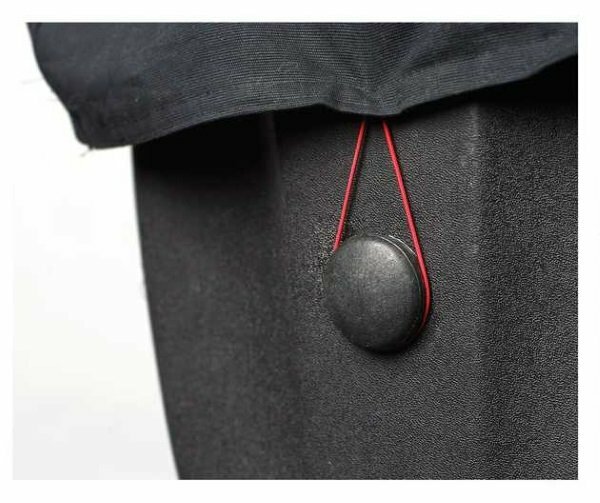 Other parts of the chair are used as much as possible – for example, the large single fastening button is a modified caster! Should REST meet public acceptance, the number of discarded office chairs destined for landfills would certainly fall. The idea for REST originated in Howell-Jones’ efforts to find uses for discarded office chairs. 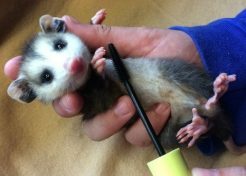 In pursuit of that elusive and unlikely goal, he collected a variety of old chairs and dismantled them as best he could with simple hand tools. 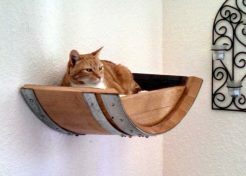 Noting that the chair backs were designed ergonomically to fit the human back, he wondered whether the former could be adapted as a hollow carrier rather than a simple support structure. 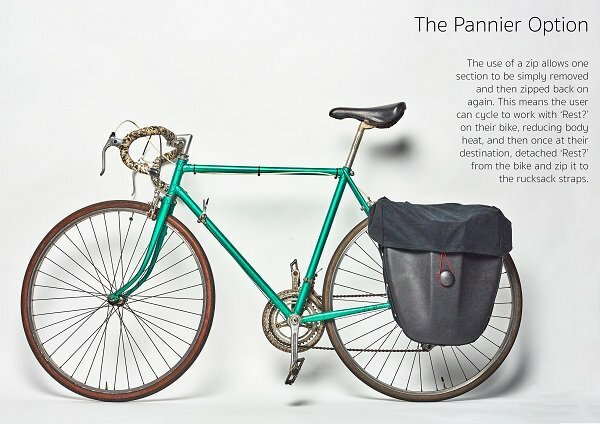 Following the conversion of several chair backs into uniform bags and bicycle panniers of varying shapes and sizes – depending on their sources – Howell-Jones knew he had found an appealing, sustainable solution.